Mahamudra is a Sanskrit word that means union of bliss and emptiness, the very essence of Buddhist Tantric meditation. Mahamudra Tantra is a practical manual for gaining deep experience of meditation and discovering the peace and happiness that lies within. 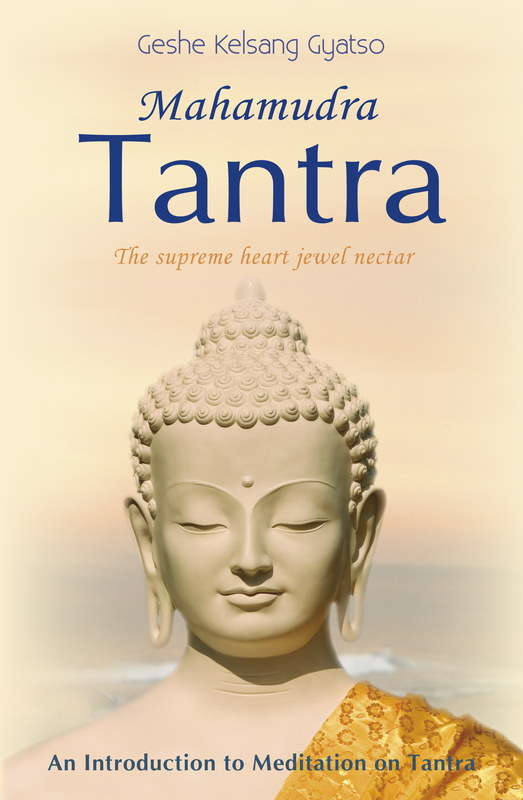 It introduces the profound subject of Tantric meditation with extraordinary clarity, making these practices extremely accessible. In generation stage Tantra, practitioners emphasise training in divine pride and training in clear appearance. Before training in divine pride, practitioners need to learn to perceive their body and mind as Heruka’s body and mind. Having accomplished this, they then use their imagined Heruka’s body and mind as the basis of imputation for their ‘I’ and develop the thought ‘I am Buddha Heruka.’ They then meditate on this divine pride with single-pointed concentration. Through training in this meditation they will gain a deep realization of divine pride, which spontaneously believes that they are Heruka. At this time they have changed the basis of imputation for their I. From beginningless time, in life after life, the basis of imputation for our I has been only a contaminated body and mind. Because our I is imputed upon a contaminated body and mind, whenever we develop the thought ‘I’ we simultaneously experience the ignorance of self-grasping, a mind grasping at an inherently existent ‘I’ and ‘mine’, which is the root of all our sufferings. However, for qualified Tantric practitioners, their deep realization of divine pride prevents the ignorance of self-grasping from arising so there is no basis for their experiencing suffering; they will enjoy their pure environment, body, enjoyments and mind of Heruka. We may ask how, if these practitioners are not yet actually Buddha Heruka, they can believe that they are; and how is it possible for them to gain the realization of divine pride if their view believing themselves to be Heruka is a mistaken view? Although these practitioners are not real Buddha Heruka, nevertheless they can believe that they are because they have changed their basis of imputation from their contaminated aggregates to the uncontaminated aggregates of Heruka. Believing themselves to be Buddha Heruka is not a mistaken view because it is non-deceptive and arises from the wisdom realizing that the inherently existent ‘I’ and ‘mine’ do not exist. Their realization of divine pride that spontaneously believes themselves to be Heruka therefore has the power to prevent the ignorance of self-grasping, the root of samsara, from arising. Things do not exist from their own side. There are no inherently existent ‘I’, ‘mine’ and other phenomena; all phenomena exist as mere imputations. Things are imputed upon their basis of imputation by thought. What does ‘basis of imputation’ mean? For example, the parts of a car are the basis of imputation for the car. The parts of a car are not the car, but there is no car other than its parts. Car is imputed upon its parts by thought. How? Through perceiving any of the parts of the car we naturally develop the thought ‘This is the car’. Similarly, our body and mind are not our I or self but are the basis of imputation for our I or self. Our I is imputed upon our body or mind by thought. Through perceiving our body or mind we naturally develop the thought ‘I’ or ‘mine’. Without a basis of imputation things cannot exist; everything depends upon its basis of imputation. Why is it necessary to change the basis of imputation for our I? As mentioned above, since beginningless time in life after life until now, the basis of imputation for our I has only been contaminated aggregates of body and mind. Because the basis of imputation for our I is contaminated by the poison of self-grasping ignorance, we experience the endless cycle of suffering. To free ourself from suffering permanently we therefore need to change our basis of imputation from contaminated aggregates to uncontaminated aggregates. How can we change our basis of imputation? In general, we have changed our basis of imputation countless times. In our previous lives we took countless rebirths, and each time the basis of imputation for our I was different. When we took a human rebirth our basis of imputation was a human body and mind, and when we took an animal rebirth our basis of imputation was an animal’s body and mind. Even in this life, when we were a baby our basis of imputation was a baby’s body and mind, when we were a teenager our basis of imputation was a teenager’s body and mind, and when we grow old our basis of imputation will be an old person’s body and mind. All these countless bases of imputation are contaminated aggregates. We have never changed our basis of imputation from contaminated to uncontaminated aggregates. Only through relying upon Buddha’s Tantric teachings can we accomplish this. We change our basis of imputation from contaminated to uncontaminated aggregates by training in clear appearance and divine pride. As Buddha explained in his Tantric teachings, first we learn to purify our body and mind by meditating on the emptiness of the body, mind and all other phenomena. Perceiving only emptiness, we then generate ourself as an enlightened Deity such as Heruka. We then learn to perceive clearly our body and mind as Heruka’s body and mind, our world as Heruka’s Pure Land, and all those around us as enlightened Heroes and Heroines. This is called ‘training in clear appearance’. Perceiving our body and mind as the uncontaminated aggregates of Heruka’s body and mind, we develop the thought ‘I am Buddha Heruka’. We then meditate on this divine pride continually with single-pointed concentration until we gain a deep realization of divine pride that spontaneously believes we are Buddha Heruka. At this time we have changed our basis of imputation from contaminated to uncontaminated aggregates. If we are normally called John, for example, we should never believe that John is Buddha Heruka, but feel that John disappeared into emptiness before we generated as Buddha Heruka. We then believe that our I, which is imputed upon Heruka’s body and mind, is Buddha Heruka. This belief is not a mistaken view, because it arises from wisdom, whereas mistaken views necessarily arise from ignorance. The realization of divine pride arises from wisdom and is a powerful method for accumulating great merit and wisdom. Even if we have the realization that spontaneously believes that we are Buddha Heruka we should never indicate or declare this to others, as such behaviour is inappropriate in normal society. People will still see us as John and not Heruka, and we also know that John is not Heruka. 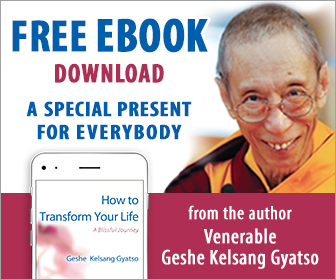 The realizations of divine pride and clear appearance are inner experiences that have the power to control our delusions, and from which pure actions will naturally develop. There is therefore no basis for us to show inappropriate behaviour; we must continue to engage in our daily activities and communicate with others as normal. We can practise generation stage Tantra in conjunction with the self-generation sadhana of Buddha Heruka, which is a ritual prayer for accomplishing the attainment of Buddha Heruka.